This tutorial provides you with a foundation for working with Adobe Photoshop Elements composites. 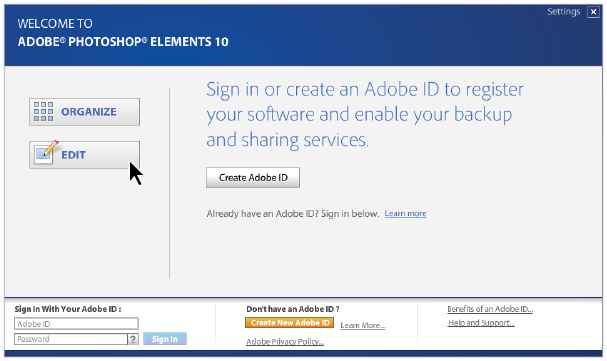 It is the ninth lesson in the Adobe Photoshop Elements 10 Digital Classroom book. The ability to combine multiple photos into a single image is one of the hallmarks of Photoshop Elements. With extensive layer editing, masking, and styling tools, you can easily create stunning composites from different photos and text. Effects once reserved for professional studios are now at your fingertips. What is a photo composite? A photo composite is an image that contains two or more photos compiled together. In Photoshop Elements, you create composite images by using layers. Think of layers as similar to stacked, transparent sheets of acetate that you can paint on. You can see through the transparent areas of each layer to the layers below. Each layer can be edited independently, allowing you to create the effect you want. Each layer remains independent of the others until you combine (flatten) the layers. Layers can have transparent areas that let you see through to the layers below. 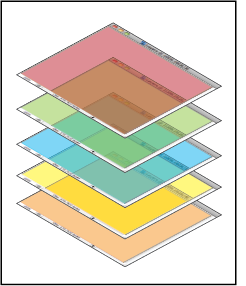 Layers are managed in the Layers panel. It’s a good idea to keep this panel open and available whenever you’re working in Photoshop Elements. The Layers panel is an important source of information as you edit photos. Because multiple layers in an image increase the file size, you can reduce the file size by merging layers that you’re done editing. You can also use the Layer menu to work with layers. Fill layers contain a color gradient, solid color, or pattern. Adjustment layers allow you to fine-tune color, brightness, and saturation without making permanent changes to your image (until you flatten, or collapse, the adjustment layer). Type layers and shape layers let you create vector-based text and shapes. You’ll now create a new file and work with layers inside it. Although the majority of the editing work you’ll do in Photoshop Elements will use existing photos, in this exercise, you’ll start by creating a new blank file. 1 In the Elements Editor, choose File > New > Blank File. The New dialog box appears. 2 In the Name text field, type America as the name of your new file. 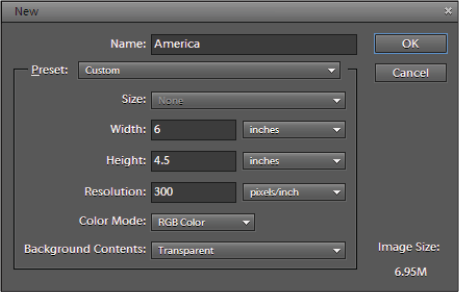 3 If it’s not already selected, choose Default Photoshop Elements Size from the Preset drop-down menu. The Preset drop-down menu gives you the ability to choose from predefined file templates for different output such as web, printing, and video content. 4 Change the value in the Height field to 4.5 inches. Note that the preset you chose in the previous step changes to Custom. 5 Leave the Resolution and Color Mode settings at their defaults, but from the Background Contents drop-down menu, choose Transparent. 6 Press OK. This file will serve as the base for your photo composite. Use the New dialog box to define the properties of a new blank file.